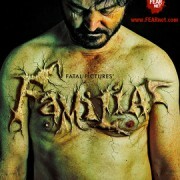 Short horror film Familiar (Fatal Pictures 2012) makes its way to FEARnet in 2013. 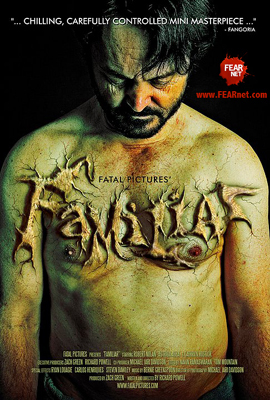 One of last year’s most talked about short films, Familiar, will soon be accessible to a much larger audience by way of FEARnet (www.FEARnet.com). The movie stars Robert Nolan, Astrida Auza and Cathryn Hostick as the seemingly idyllic yet ultimately doomed Dodd Family. Through a series of tragic events the patriarch of the Dodd family grows to suspect the negative impulses plaguing his mind may not be his own. 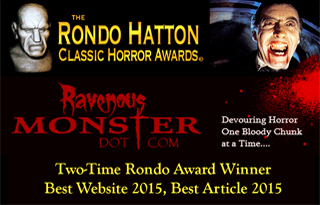 FEARnet is a TV, VOD and web destination for horror, suspense and thriller programming. Available on TV and On Demand across the US, FEARnet serves up the best horror, thrills, and chills in entertainment.